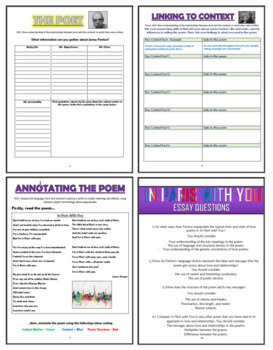 In Paris With You Comprehension Activities Booklet! 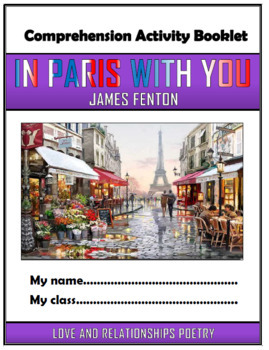 This 16-page resource booklet contains a wide range of challenging and engaging comprehension activities for use throughout the reading of James Fenton’s poem ‘In Paris with You.’ Teachers have found them particularly useful throughout teaching, or for exam revision or guided reading sessions. 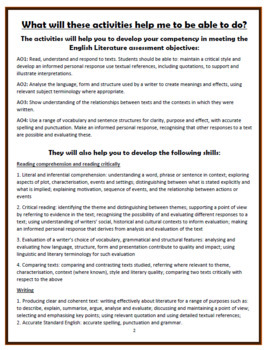 They are perfect for aiding the progress of students towards meeting the key English Literature assessment objectives - suitable for all examining bodies. 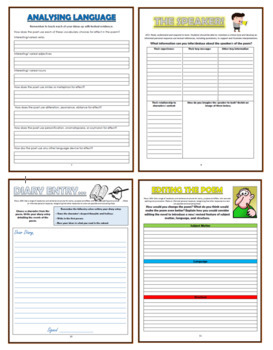 Students have found these resources extremely engaging, and it is clearly highlighted within each task regarding which assessment strands the task is designed to demonstrate. It is provided in both Word (to allow for easy editing) and PDF (to ensure for consistency of formatting between computers).